Ferdinands Saar Dry Gin is a popular Gin available from TheDrinkShop in 50cl to buy online. 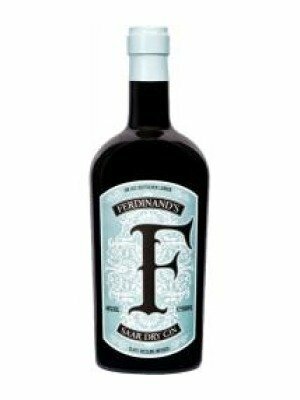 Visit TheDrinkShop for the best price for 50cl of Ferdinands Saar Dry Gin or compare prices on our other Gin products. Carefully hand-picked Riesling grapes from the steep shale slopes of the Zilliken estate on the grand Saarburger Rausch site make this gin a unique taste experience. The craftsmanship of our Master Distiller Andreas Vallendar and over 30 finely balanced botanicals taken from the vineyards and our own cultivation guarantee a high-quality product from the Saar region that promises supreme drinking pleasure. The tri-border region between Germany, Luxembourg and France at the heart of Europe gives rise to an exceptional hand-crafted product from two traditional producers whose methods have already shaped this region's style and reputation. Independent of their mutual friendship, they all instantly agreed on one point: They wanted a gin that reflected their own region with all its highlights and with the emphasis on quality. Only the highest-grade late and selected harvest wines from the large Saarburger Rausch vineyard site are used for the gin's wine infusion. Highly aromatic herbs and fruits, both from their own cultivation in the Saar region and from the incomparable steep shale slopes (vineyards) of the Saar, round off the flavour. Ferdinand's Saar Dry Gin combines the best of this beautiful region. Where to buy Ferdinands Saar Dry Gin ? Ferdinands Saar Dry Gin Supermarkets & Stockists. You can buy Ferdinands Saar Dry Gin online in most retailers and find it in the Gin aisle in supermarkets but we found the best deals online for Ferdinands Saar Dry Gin in TheDrinkShop, Amazon.co.uk, DrinkSupermarket.com, and others. Compare the current price of Ferdinands Saar Dry Gin in 50cl size in the table of offers below. Simply click on the button to order Ferdinands Saar Dry Gin online now.